We are in the town of Plougonvelin, in Pays d’Iroise extending over 90 kilometres of coastline. Washed by the Atlantic Ocean and the Channel and is situated near Corsen Head in Plouarzel a few kilometres from here. Corsen Head is the most western part of continental France. Pays d’Iroise shares its name with the sea that bathes its coast: the Iroise Sea. 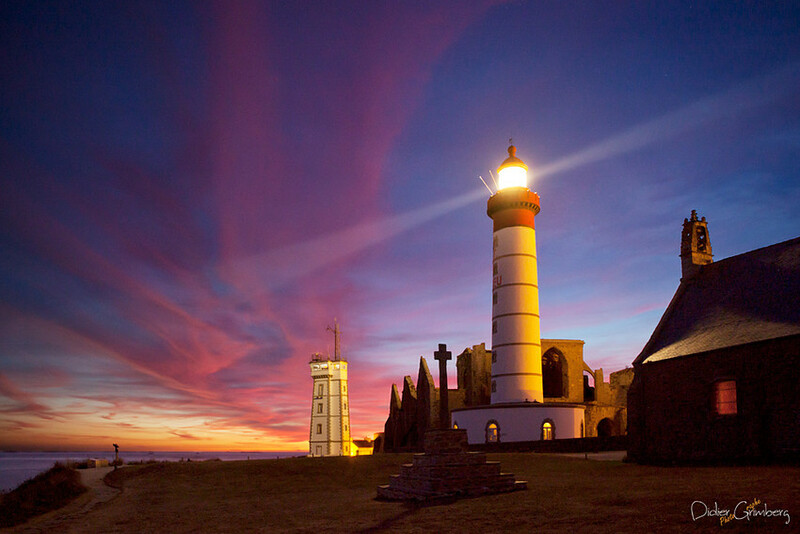 In June 1835 the existing lighthouse, which took 4 years to build, was brought into service. Made of granite from Aber Ildut estuary, it stands at 37 m and its highest point measures 58m above sea level. Its construction was made necessary due to the crumbling of the abbey tower. 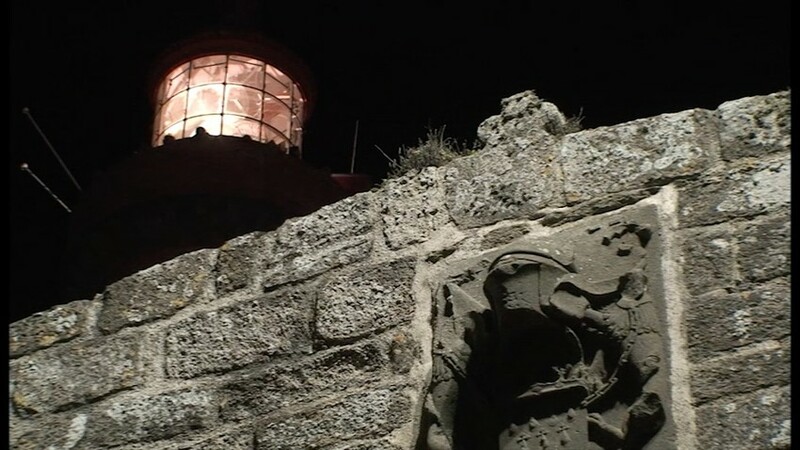 Visitors are invited to the Saint Mathieu lighthouse - in a dark and windy night. 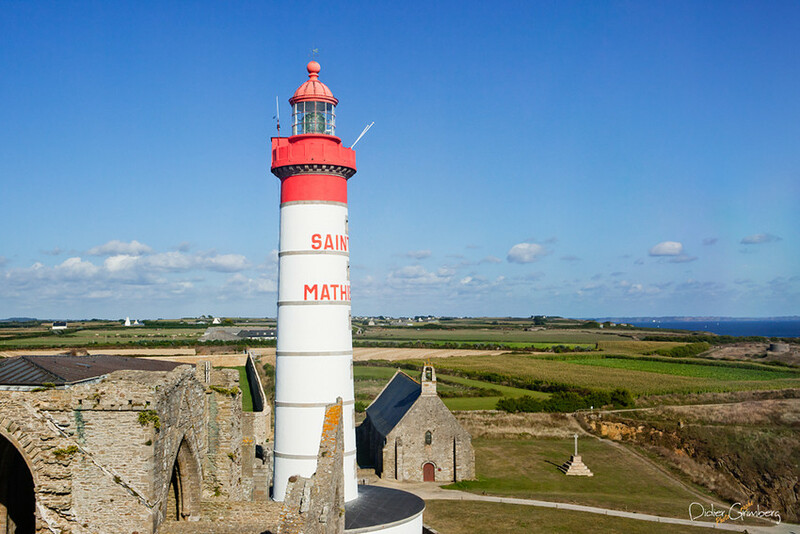 The beam of the Saint Mathieu lighthouse travels over 29 nautical miles, about 55 km. 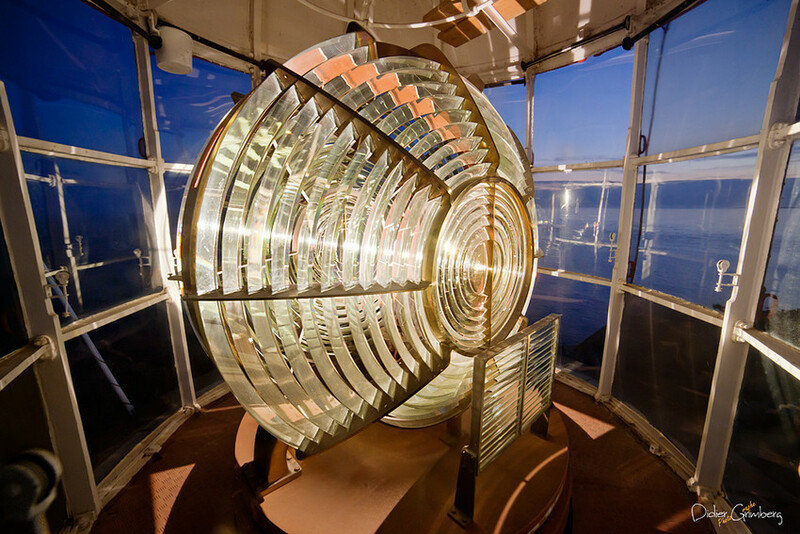 It flashes a white light every 15 seconds thanks to the lenticular lenses of Augustin Fresnel. Its main function is to guide vessels towards the entry of the Brest Channel. The lamp is activated by a photoelectric cell located at the foot of the lighthouse. As soon as this cell is in shadow, the lamp is activated. At the top of the lighthouse, we also have a steady white beam with a range of 14 miles, aligned with that of Kermorvan to indicate the mouth of the Chenal du Four south pass. The sector lamp (small lighthouse to the right of the abbey) is an auxiliary lamp. This is equipped with one white sector, inserted between two red and green sectors. It was brought into use in January 1894. Two chapels at the foot of the Saint Mathieu abbey were knocked down and the height of the old tower reduced by half to clear a path for the present lighthouse’s beam.